Our house collects “piles.” These are little areas of clutter that accumulate things I plan to put away eventually. There are piles of mail, piles of kids’ toys that need to be put away in their bedrooms, piles of receipts that either need to be saved or tossed, and don’t forget the piles of miscellaneous papers that come from who knows where. If you’ve decided you want to know how to declutter your home, you need to start with purging the piles. Maybe your piles aren’t on your counters. Maybe they are in your cabinets. Maybe they are lurking in the drawers of your home. Wherever your piles may be, you can start with them. Since we downsized, I am finding our “piles” accumulate way faster than they used to. My mission to simplify our lives continues. Haha! 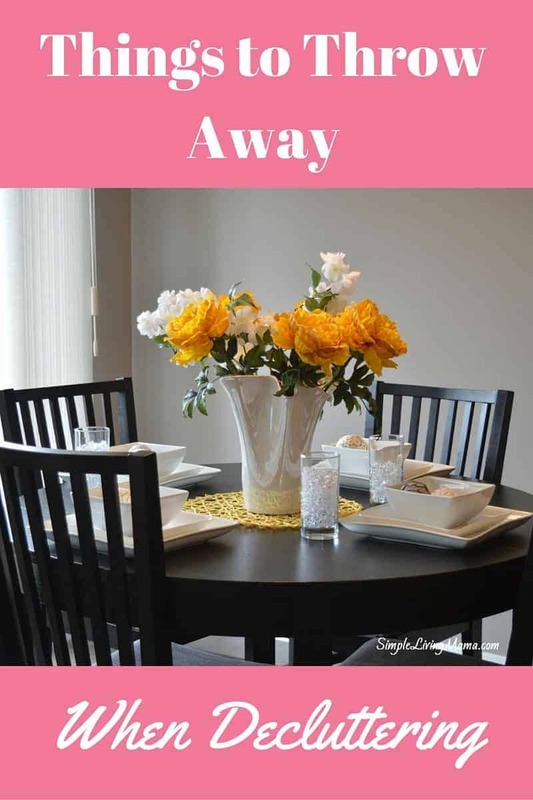 With five kids, simplifying is certainly an ongoing process, and quite frankly, if I don’t stay on top of the piles, they grow at a rate much faster than I can tackle in one day. It can be difficult to decide which things to throw away when decluttering. Some things just plain get overlooked. I have created a big giant list of things to throw away when you are decluttering. These items are divided by zones. My whole home decluttering checklist is also divided by zones. 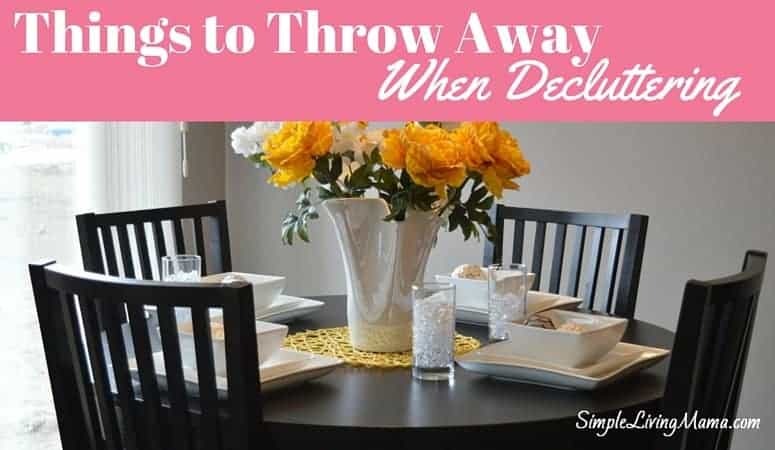 It is much easier to break your house into sections and work on one section at a time when you are decluttering, rather than just one spot in your bedroom and one spot in the living room. Well, that’s a big list! I hope you now have some more inspiration to go forth and take care of the clutter in your home! Thank you for your posting to help people declutter. I am trying to do just that, but it is hard to throw away things that people have given me. How do I declutter those items? Also clothing that is in great shape but I just don’t need that many clothes. We have reached a time in our lives that we do not need closets full of things. I would appreciate any help you can give me to help me unclutter and feel good about doing it. I thought of a yard sale but I have never done one and it seems to be a lot of work for the small amount of money that you would get. Is a yard sale a good way to get rid of excellent items. Again thanks and I really need help.